What is a “Saturn Return”? If you’re hearing this for the first time, it is basically an astrological term for when Saturn makes an entire orbit around the Sun and ‘returns’ to the same position at your time of birth. 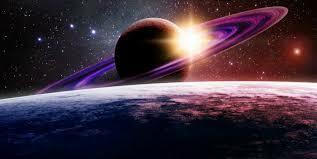 Because the orbit of Saturn takes about 29.5 years, most people experience a “Saturn Return” around the ages of 29, 58 & 87 in their lives. Because the orbit of Saturn is irregular, it might occur in the 1-2 years before or after those ages mentioned. The words associated with Saturn are boring or dull, such as; Duty, Responsibility, Long-term plans, Effort, Commitments etc. It will be a period in which you question the efforts and commitments made over the last 10 years of adulthood and reflect on whether or not this is the direction you would like to proceed on into the next phase of your life. It is not uncommon to experience the need for sudden career changes and needing to pursue the things that truly matter. It is sort of like organising your wardrobe, but more towards applying it to your life goals. “Well this cartoon t-shirt worked for me previously in my teens, but not anymore!”– It’s about knowing what to throw out and consider keeping what is now important in your life, which you would like to work towards to in the long-term (10-20 years). Do allow yourself to dream of what you would deem as successful, a challenge you take on so there will be no regrets. It could come in the form of; positions in your career, financial goals, marriage, starting a family, pursuing a life-purpose, etc. Have these goals to be a bit of a stretch but ultimately realistic and achievable. Once you are clear of actually what you want to do and what your life goals are, set up a structure or a system to help you achieve those goals. One of the ways, is sharing about these goals with someone you trust, and ask them to hold you accountable for achieving these goals. Breaking goals down into smaller goals and setting milestones with a realistic timeframe could help a lot too by allowing you to keep a close track of your progress, and make any necessary adjustments. Importantly, it is also realising that these goals are long-term in nature, which they will not be easily achieved with an overnight success. – Don’t beat yourself up if you’ve not achieve what you wanted especially within a short span of time. Learn to give credit to yourself and celebrate the things in which you have started to progress in or achieve over the next couple of years. Another great way for you to find guidance and directions in your life is picking up Astrology. Through understanding Astrology and your own Natal chart, you will discover insights to who you are truly as a person, your core personality, identity and life purpose. Many of Selfstrology Academy’s students join the class at the point of their Saturn Returns and are realising for themselves what they truly want to achieve and contribute to others in their lives. Some of them have found the courage to leave disempowering relationships and careers, in pursuit for greater, more meaningful professions and fulfilling relationships. For more information about the course, visit: https://selfstrology.com/academy/bac/. We hope that this article has helped you to gain more clarity and the direction for the next phase in life. If you’ve found this article useful do share it with someone else experiencing this stage in life as well. Do leave your comments or questions you might have, in the comments section below and we will address them.